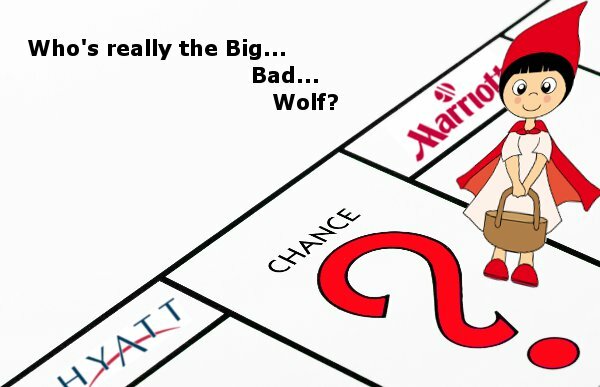 Who's the Big Bad Wolf of Hotel Marketing? When all is said and done, who has the guest in mindl? Just out, the Distribution Channel Analysis study via the American Hotel Lodging Association (AH&LA) and STR, is a detailed study aimed at helping “all” hoteliers better understand hotel room distribution, discuss distribution channel mix, and other salient hotel profitability instances. 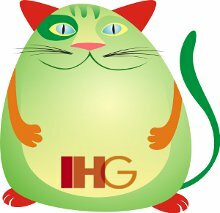 But, is the study really meant for all hoteliers, or just the fat cats? Update: Our call to industry leaders to comment on these issues was answered first by Tamara Heber Percy, CTO Mr & Mrs Smith www.mrandmrssmith.com, perhaps the world’s most respected luxury boutique hotel name. Her comment is included appropriately within the story below. “Distribution Channel Analysis; a Guide for Hotels,” as the report is titled, does in fact discuss the detail and the breadth of the hotel distribution landscape. Complied by industry gurus Mark Lomanno (former CEO of STR) and Cindy Estis Green (Estis Group), the work hammers out distribution cost variables, price elasticity, revenue management and overall distribution dynamics, enumerating how hotels can navigate the increasingly chaotic world of booking. However, the study may actually shift the “cost” of doing hospitality away from third parties “now” – and onto an unsuspecting, and interesting target – Google. And away from the big franchises that may be a tad more villainous than we imagine? Authoritative and complete on the one hand, this report also reflects the shifting tides of expert study and opinion, at least in my view. The rub I took from reading the it washes out like an advertisement for strategy consulting, to be honest. But for starters, let’s take a moment here to say Lomanno is not the only data and trend brainiac focused a bit too tightly on the vast sea of data out there – gurus are multitude in all industries. Sometimes being a super researcher, or anything else, gets a professional a bit more focus. Now that that is said. Direct or Misdirected Channel Mastery? Now there’s a bombshell. Google in the sights of? All of a sudden, Mom and Pop hotel proprietors needn’t worry over TripAdvisor spyglasses or Expedia commissions, it’s their adsense and PPC campaigns (if ever they were so profitable or lucky) they need to watch out for! With the Big Daddy hotels battling the OTAs via their own variant (meta search as they call it), Google Hotel Finder and g+ search variables, boutique hotel owners and independents may need to hire some expert channel management peeps, and soon. “Distribution Channel Analysis; a Guide for Hotels” accomplishes a lot in a Machiavellian world. ‘The usefulness of channel analysis like this is largely dependent on the size of hotel. Larger hotels and chains, which have dedicated channel managers, will be glued to this sort of analysis, and will use the findings to inform their marketing strategies and booking processes. 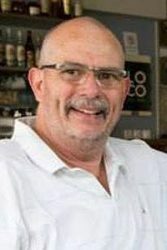 On the other hand, hoteliers who single-handedly operate smaller boutique properties may lack the time, interest or technical background to bother themselves with all the acronyms and the metrics, but that doesn’t mean the findings couldn’t be helpful to them – practical advice and learning from peers in your industry is never a bad thing. While we (consumers) deplore any channel sucking in service provider revenue to the tune of 20% or more, the aggregate costs of being a franchise can actually dwarf online distribution revenue loses. Throw in come conflicting economic reporting, and other industry metrics, and the resultant “buzz” over channel expertness rivals the propoganda before and during the Second World War for some. Spain is broke, but Pegasus studies double digit growth. Individual hotel decision makers even get in on the PR and marketing act, or so it appears. With all the positivism out there, one has to wonder at the talk of joblessness, demonstrations in Romania, Greece, worldwide. So, Magnuson Hotels’ CEO Tom Magnuson’s suggestion (and others’) that there is no sustainable growth model, bears fruit here (and there’s no damned wonder). The only way to increase revenue, is to reduce costs, pay-per-click or otherwise. Despite what Lomanno, the big hotels, or the even OTAs would have anyone believe, those costs are not primarily guided by Google. This is subterfuge in my view, a misdirection away from the central point of discussion over channels. Maybe a misdirect away from when, where, how, and whom takes the biggest chunk of the hotel pie period! Combining apparent or real incongruity, with the fact all these experts seem to need a study just to determine tings like whether “mobile room searches will be predominant in the coming years (it took Lomanno a year of in depth study on that one), leads this writer (at least) to compare so called “hospitality experts” to Grandma, where identifying villains is concerned. 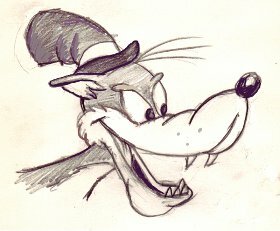 As to “who” the real big bad wolf is, it seems that the toothy bad guy shifts, when the wind blows to me. All any hotel owner has to do is listen to two experts, and their reaction will be a mix of the willies and the woes. Does this sound like a runaround? Now we have a sense that either experts and consultants are loony, or there is some designed chaos going on. Lomanno, now on the executive board of newBrandAnalytics stands up at this week’s Americas Lodging and Investment Summit (ALIS) along with big name CEOs and even world dominating Google. I find it hard to reconcile this company professing to be channel managers and game changers, engaged with no better than a Twitter following of just over 100, their last Tweet having been about metrics of Twitter the company obviously does not participate in so much (see image below). This summit’s news flat out argues my point so well. Jan Freitag, senior VP of global development, STR – pretty much argues against Lomanno’s in this article. 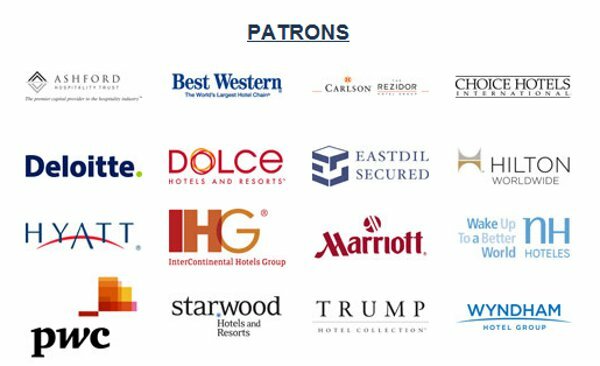 And, while Google’s represented at this “summit” they receive no mention much via HotelNewsNow’s (a division of Lomanno’s former company, STR) The Monday’s segment did however reveal big hotel CEOs seeming newsworthy there, but what was their target of conversatoin? Hyatt, Wyndam, even industry mega company Deloitte wanted to talk Roomkey. Roomkey, Roomkey, and dump Obama, of course. The end of this Red Riding Hood tale shows the little guy forking over $300 shower heads, and franchise approved breakfast bagels? Costs most guests would shudder to think they paid for. Mumbo Jumbo analytics and terminology affects the hotelier as much as Orbitz commissions ever did, this is a certainty. Just like the legal profession, “experts” seem to have created a niche of “understanding” for themselves. Meanwhile, the little guy hotel owner must feel as if corporate hospitality and the major middlemen (ancillary hangers on) have become judge, jury, and executioner for their livelihoods. We have to ask the question here; “Is all this complexity really that complex, that necessarily difficult to overcome?” Maybe Google can chime in here. Will the ITA software acquisition spur a whole new breed of “experts” when Google takes over travel? Let me get off the Pegasus job creation moment here. Alternately, another Big Bad Wolf has had no lack of big time marketing. OTAs begone, the big dogs release some kind of news every minute of every day. Google and those unmanageable clicks and ad dollars? Sure it costs the consumer something to market via that channel. But, despite the obvious accuracy and value of reports such as “Distribution Channel Analysis; a Guide for Hotels” to some the inherent value to the preponderance of hotel owners (and subsequently guests too) seems highly exclusionary if not altogether exclusive here. Bottom line is, these reports are for the Hilton’s of the world, not your local town’s family owned lodge. When all is said and done, the conclusions of these industry abacus operators do apply to small time and independent operators, but the fat cats. Like all great fairly tales, the complexity of hotel bookings (and Constitutional law) do require highly compensated expert talents to decipher. There’s no end to the depth of data analysis to be done out there. Hell, this very report was talked about in that RevMax article mentioned, over a year ago! Maybe the real “bad guy” is the idea that anyone needs high end analysis at all? Could Google just connect you to the hotel next to Disney World easier? Hoteliers may need to toss out the lot of bedfellows and save guests some time and money? Sergey, you and Larry should hurry up with that Google X labs WIMM technology – and the Motorola direct voice “looking & booking” portal. Until then, we can just use Google to find the phone numbers and call. Note: Tom Magnuson of Magnuson Hotels and GHX is mentioned in this editorial. The reader should know that the parent company of Argo Travel News is the PR agency of record for Magnuson. However, the opinions of this author do not necessarily reflect those of any Magnuson business, let along Pamil Visions PR. We hope the reader will offer up his or her own views on the subject. Image credits: Fat Cat courtesy © nem4a – Fotolia.com, Monopoly board mashup courtesy © Kin Weng Fotolia. I always thought of the OTA’s as something that filled the gap during the off line to online distribution evolution. They were a stopgap solution. They are now becoming unnecessary, and getting in the way of commerce because they are becoming obsolete, where they used to promote some level of commerce for our industry. Distribution has changed… and their role will phase out. Another big bad wolf, on top of franchise fees? Ridiculous internet consulting firm charges by hourly consulting model. Buuteeq is doing some good with simple pricing plans… it makes a lot more sense, and you aren’t nickel and dimed for the internet marketing group’s mistakes or on the job training. Lastly…. commissions to booking engines. Including the franchise fees, as well… Engines like Synexis get promoted by franchise and flag brands, which then take a cut. It’s incredible how much money is lost to an engine that simply helps facilitate online booking. Eventually, the hotels will realize the money lost can be recouped quickly by building and designing your own, off a template, to own, outright. That can save 20K – 100K+ a year. And to you HhotelConsult, Just because we may be competitors or in the same business, does not mean logic fails to work. We are approaching a time when a real “direct connect” will put the B2C and B2B in the same moment. Expedia and the rest, even the large hotel entities, are locked into a mindset primed for being disrupted. Roomkey, for me, is just a symbol that corporate tee offs cannot even copy a decent idea well any more. You as a customer were just offered the Velveeta of cheesy booking experiences. Now that we are all underwhelmed, expect something dramatic to fill this mediocrity void. As you suggest, the little hotel guy can save a bundle making the right moves, the difference between sinking and floating. I think it is important for Mom and Pop to ask the question: “Is it in Hilton’s best interest for me to swim, or to sink?” Do we need any more than this? Very interesting article and explained in great simple terms. Look forward to subscribing to more of your articles.